Loving Father , We pray on, in Jesus name that the ones that have been hurt physically and emotionally be comforted. May the families that have lost loved ones feel a miraculous calm. We pray especially for Denise, William and their little girl and all critically injured. May all know Your comfort and peace in the midst of heartbreak. Thank you for giving strength to those who helped, may they not be disturbed by fearful dreams. Thank you to all those who were brave and ran to give blood. Be with the people of Boston. Please may they be held tight in the dark of night, when it all hurts too much. May they know Your love and eternal security. We bless you and thank you for your loving kindness towards us. Though people may fail us, your love will never fail us. Your love is unconditional and eternal. You will never love us more or love us less, than you do at this very moment. Thank you Father, that you are the constant source of stability for us in this ever-changing world. We thank you Lord that you hear us...your ears listen for our cries and your eye is constantly upon us. You know our needs before we ask...you protect us and your word says that you deliver us from all of our fears, worries and troubles. Your word says that your angel is camped out around those who fear you and he delivers each of us. May that reminder of divine protection give us courage as we go about our day. You are so good to us Lord and we are blessed when we trust you and take refuge in you. but you are our protector, our deliverer and our strength. 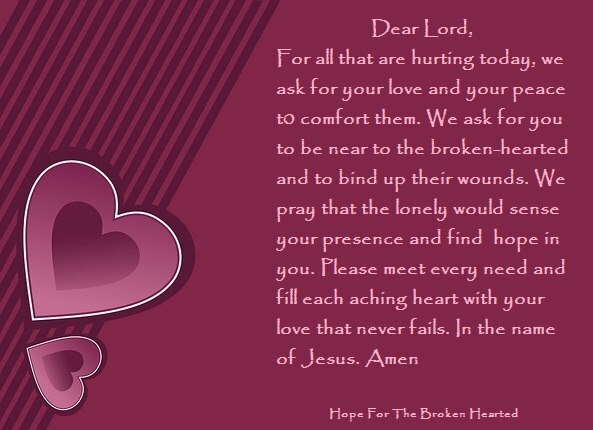 Thank you Lord that you are near to the broken hearted...you bind up our wounds. You save those who are crushed in spirit...you restore our soul. Oh, Lord, we would be so lost without you. Father we thank you for who you are and for all you do for us. We pray that you will speak to our hearts. so we can grow stronger in our faith and in our love for you. that we have in your timing and according to your will. We thank You for what you do, and who You are, to us and in us. May you feel His peace surround you today....You are so loved! Some days we wonder, "How long? "....how long till the pain of this earth ends? How long must we watch children dying of starvation, cancer and illness? How long will we wait before we see righteousness prevail? The words that keep coming to mind this morning are..."I saw the Lord and He was high and lifted up and rightfully adored....I saw the Lord and He saw me. in our mourning and our singing. At times we cry out like David did in his beautiful Psalms. He knew deep pain and sorrow. He knew despair...and He also danced before you with a joyful heart because he Had seen your hand work on His behalf. Oh, that we may be filled with the joy of our salvation today Father. is to watch those we love struggle and suffer...whether it be physically or mentally. and touch them where they are at. emotional illness and despairing grief. We lift up those who are lost in sin and addiction. Lord, we ask for healing that only you can bring. We ask for deliverance from their torment. We ask that you will help them to find you in the dark places that we can't get to. Help them to find hope Lord. Help them to come to the knowledge and belief, that there is a better day with a bright future that awaits them. Please help their unbelief Lord. Give us the strength to stand beside them and not grow weary in well-doing. Father, wherever we are at, no matter what time of day it is, please give us more of Jesus today. Lord, we need you to fill our cups with your peace. We need your Holy Spirit to be our comfort today. sometimes it's more than we can bear to see so much sadness and pain around us. How do you deal with so many difficult people who are hard to love? How do you never grow tired or impatient? Your ways are so above ours Lord. Teach us Lord to be like you. Lord, we need you..
we want to have the heart of Christ and be led by His love and compassion for all. When we become overwhelmed, lead us to the rock that is higher that us..
.lead us to the safety of your loving arms. Take us by the hand and comfort us as we grieve for the lost and hurting. Let us find our strength renewed as you work within our hearts and minds making us one with you. May we feel your power fall a new on us today Lord. Be the strength of our lives Lord we pray. Blessings be upon you all in the name of Jesus! The Lord is my peace. I shall not live in anxiety. and calms my spirit within me. and helps me to focus on Him. You smooth my wrinkled brow. shall fill me all the days of my life. we ask for you to fill us to overflowing with your peace and your joy. Forgive us of our sins and create in us a new heart. Help us to be rid of impure thoughts, selfish motives, bitterness and anger. Cleanse us of all unrighteousness and renew a right spirit in us. that is a difficult task to do now. But whatever you ask of us Lord, you equip us to do. preparing a sermon or searching for a job, you want us to serve you right where we are at today and to count it all joy. So Lord, for some of us, it’s a sacrifice of praise today, but we want to do everything as unto you. is better than 1,000 pain-free days serving ourselves. Lord, we give you everything that is weighing our hearts and minds down. We give you all the deadlines, all the worries, all the impending losses and changes and our grief. We give you all the hurts, disappointments, fears and illnesses and injuries, all the troubled children and wayward spouses. We give you all the stress and unpaid bills and we lay it before you Lord. You tell all that are weary and heavy laden to come and you will give them rest. and that is you! You are our loving Savior, our Everlasting Father, the Prince of Peace. For all these things, regardless of our circumstances, we can say that you have made us glad and we will rejoice. Blessed be your name Lord. Thank you for going before us and standing beside us in all that we face today Lord. that they are not alone and that with you we can do all things. May His grace and peace be upon you today! As we start a new year, we often hear the phrase, "out with the old and in with the new". things that are comfortable and bring us a sense of security. Sometimes we don't want to give up something good, for the promise of something better. May we always be mindful Lord, that your ways are not our ways. You always have a greater plan envisioned for us than we can see for ourselves. If you take something from our hands, it is for a purpose....for our good and your glory. Help us to remember that you only give good gifts to your children, Lord. that parallel our lives and one is the pruning of vines and trees in winter. You compare yourself to a vine dresser and we are the vines. We see how trees and vines are cut back to ugly stumps, limbs and roots. It can seem illogical to so harshly trim these things so they can bear more fruit. But we see each spring and summer that it was a wise thing to do when we see more foliage and more fruit. 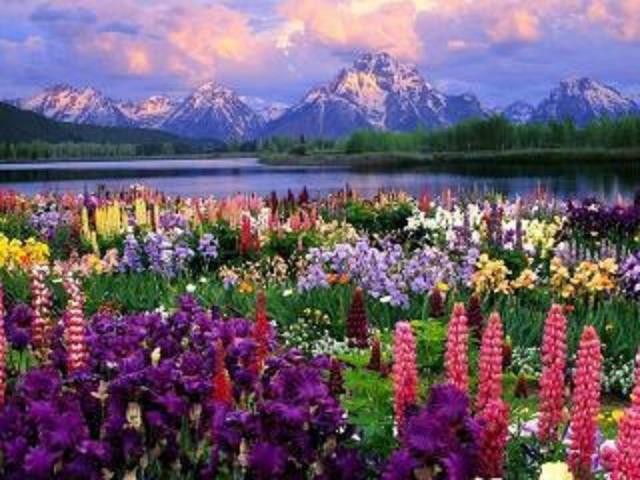 As it is in nature, so it is in our lives as well. and sometimes you remove even good things to replace them with something better. Change is hard, but you are good Lord and you never leave us to face these changes alone. Help us as we move forward in this new year, to learn to trust you more Lord. only want the best for us and everything you allow is for a reason. We love you Lord and we know that you will be with us every step of the way in this new year. Have your way with us Lord that we may bear much good fruit for your Kingdom. Blessings be upon you today! So many are in life and death battles with their health and we lift these up to you. Please be with the ones who are in danger. Lord we ask for your healing hand to be upon them. and all the other things that can so easily beset our fragile bodies. Lord and we also ask for financial provision to pay medical bills and expenses. 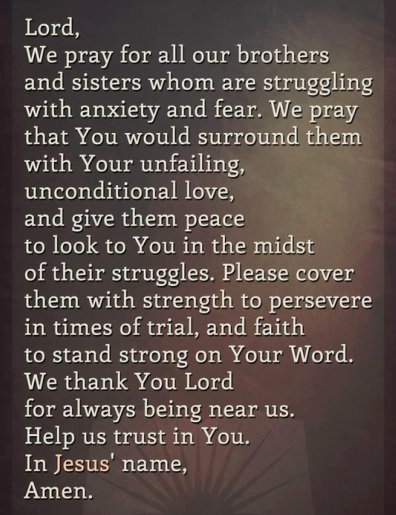 Lord, for all the people with chronic illness and disorders we ask for your divine intervention and provision. to leaving us bedridden or barely able to function. Lord, we ask that you will give strength to endure and we pray for your healing hand to be upon these as well. please give them strength when they are weary. Provide respite care for them. For those who are married, we ask for a hedge about their relationships that the stress won't tear them apart. and for them to reach out with support and encouragement. and judgments of others who have no clue what it is like to walk in their shoes. Please send people who understand and have hearts of compassion to help carry their burdens. that are needed and we ask Lord, for you to bless them and provide for them. Lord, you know how brief, fragile and fleeting our lives are. Life passes by like the blink of an eye. There are never enough hours in the day, except when we are full of grief... and then the days seem endless. may they support and hold us up and help us to hold fast to the things that we've been taught. help them to trust when it doesn't seem natural to do so. Bless each one we pray and meet their every need Lord. We thank you that you are in our midst Lord and we praise you and thank your for your saving grace. who struggle with things that are out of our control. We can’t force people to make good decisions, Lord. We can’t make others love us or treat us right. We can’t make others see the need for you or the destructiveness of their actions. We can’t heal ourselves or those we love who have illnesses. Only you can do these things, Lord. with all of our hearts and sometimes our prayers aren't answered. and we don’t understand and become confused when our prayers aren't answered. what you've shown us is that prayer is about surrendering to Your will. It’s about letting go of our expectations and desires and praying “not my will, but Thy will be done, Lord”. Lord,we pray that you will help each of us to trust you with our circumstances and our loved ones and with every need we bring to you. We hand control to you Lord. for those who love you and are called according to your purpose. We believe that Lord and we know that includes everything we are going through and dealing with now. We are weak Lord, but we know we can get through anything with your strength and your power. You will work this for good… regardless of how things look, feel or seem right now. We want you to decide the outcome that is best for each of our situations. knowing that you want only the best for us. We know that you give only good gifts to your children. as we let go of our expectations and wait for the miracles that will come from trusting you. We love you Lord. We praise you. We ask these things in Jesus Holy name, Amen. We thank you for another day of life. We thank you for your steadfast and unfailing love for us. Lord, help us just soak in your love today and let us contemplate in this quiet time, just how short life is. Your word says that we are like a mist…here for a moment and then we vanish. We take so much for granted in our lives. We take our health for granted until something doesn't work right, or we get sick or injured. We assume that we will always have tomorrow to take care of the things we have neglected or put off. Help us to take nothing for granted in our lives Lord. Help us to truly make the most of our days. Lord, we have all come together with hurts and wounds and scars. We are all searching for hope and healing and for answers. Lord, we pray that each of us will fall more and more in love with you. We pray that our relationship with you will be the most important thing in our lives. We pray that it will be your approval that we seek more than anyone else’s. 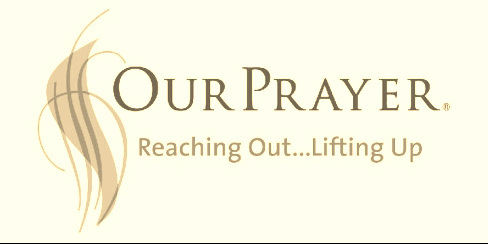 We pray that as we draw closer to you, that we will be strengthened and encouraged. The more time we spend with you, the more we become like you and that is the point of adversity…to use it to change us into your likeness and to prepare us for eternity and the things that truly matter. you fill the empty spaces with more of yourself. We are like clay in the potters hand, we are broken down, but not destroyed. and will be in the likeness of Christ. I know so many here are far from healed. but you are working in each life no matter where they are at in the healing process. You are our Divine Physician binding our wounds and healing our hurts and the pains and losses of life. we thank you that we can rest in you today and we ask that we might experience you in a new way today, Lord. We just want to know you… love you Lord and feel your closeness this day. In Jesus name, we ask these things Amen. We lift up to you all the children who have been harmed in the Middle East the last few days. Sadly, there is much innocent blood that is being shed and many families that are in mourning at this moment. We pray for the children that are orphans and are fending for themselves in impoverished countries. We pray for those who are enslaved and held against their will in many lands and for many evil reasons. We pray for the abused and the bullied. We pray for the children everywhere, who do not know what it is like to have a full tummy or a safe home. We pray for those who do not know what it is like to feel loved and cherished. We pray for those who are ill or disabled. Lord, we lift our voices together and pray for the children everywhere. that they will see your hand reaching out to them in the darkness and that they will feel your closeness. Lord, please be their deliverer. Please make a way of escape for them to end their suffering we ask in the name of Jesus. the earth and your people are crying out in pain Father and we know we need our Savior more than ever. there is a great harvest of souls that needs to hear the good news,but the workers are few. Help us Lord to comfort those we meet, with the comfort we've received. Help us to share the gospel with those that don't know you. Help us to reach out to those in need, knowing that some of them are angels in disguise and help us to remember that as we do unto "the least of these", we do it as unto you. Please draw us ever closer to you Father. you want to have daily interaction with us... so you only give us enough of what we need to get through the day. You designed us and created us with a great need for you...our trials remind us of that need. may they find gentle reminders that you are there. Please go before us this weekend Lord. May there be peaceful, relaxing moments spent with you and with those we love. and your great love for us and your amazing grace that made our blind eyes to see. We love you Lord and thank you for giving us another day to serve you. Standing in the gap for you friends. I read your needs and see your prayer requests. You are being lifted to our Father. You are not alone and you are loved! who are in distress in places like Israel and countries in the Middle East. We have heard from many today that live there and they are anxious and scared Lord. You see them and hear them and you know them by name. as the bombings and fighting surrounds them. We pray for protection for them Lord. We pray for the families who have lost loved ones. We pray for those who have been injured. We ask for your comfort in their grief and loss. We pray for the people who are fighting to protect their loved ones and the lives of innocent civilians. We ask for protection for them Lord. how things will be until you reign forever. Lord, please strengthen everyone and give them courage for the things that lie ahead. there will be eternal peace in your presence. Lord, help us to delight ourselves in You. Help us to be diligent and vigilant with our time and how we do things. Let us seize the day that is before us, making the most of what gifts you have given us. drive us to our knees in prayer and not to worry and despair. Help us not to be apathetic. Help us not to waste time on things that just don't matter in light of eternity. Help us to realize that we are disciples and Christ followers, before we are anything else. May our faith be the thing that influences our decisions and defines who we are. from the enemy who wishes us harm. you are our portion and we our yours, forevermore. Lord, please pour your grace upon us. We ask for your mercy. that we might know you better and serve you well. Please go before us this weekend. in ways you never have before. May the Lord's peace be upon you!